Posted on: April 12th, 2019	by Jennifer A. You found us on Facebook. Then, you decided you liked what you saw enough to come visit us on our site, Jersey Family Fun. We are so thankful you came over to visit us. I won’t keep you waiting. It used to be so easy to share our articles with you on Facebook, but then Facebook changed. Facebook changed what they call, their algorithm, that’s what decides who sees what on Facebook. Small businesses, community groups, and others without large budgets to boost posts or spend on Facebook advertising saw their ability to reach their fans hurt. It doesn’t matter whether someone has liked a Facebook page, that page’s fans rarely get to see everything that page posts. If I told you that of our over 21,000 Facebook fans there are times when less than 1,000 fans are shown what we post. So we created this page to help YOU! Below is a list of the things we talk about most often on Facebook with links to help you find out more about things to do in New Jersey, local events, and places to visit for your next day trip or family vacation. How to get featured on the Jersey Family Fun Facebook page? Are you a business looking to promote your location, event, or offer? Email us at jenniferauer@jerseyfamilyfun.com with ADVERTISING in the subject line. Are you a fan with a photo to share? Email us at jenniferauer@jerseyfamilyfun.com with FACEBOOK in the subject line. We share a lot on Facebook! Facebook is where we show you our best pictures and videos from the events we take our kids to, to the places we visit with them, from the days at home doing fun activities to the great family vacations we want to inspire you to take. We loved Facebook. We love engaging with our fans there. We could tell you about something great, post the link, and bring you to our site. It was so easy for you and us. Now when you see a picture of a playground, a waterpark, or some other fun place to take your kids to we know you want to know more. And we want you to know we’ve got more to say. So we have to decide, do we post great information without a link and hope it reaches you OR do we post it with a link and risk it not. It’s why we created this page. We’ll continue to show you pictures, videos, details and all the things you love on Facebook. But we don’t STOP at Facebook. The pictures, event listings, and videos you see there turn into stories, articles, and events here. This welcome post is for you, our Facebook fans, to easily find the information we are talking about on Facebook. Scan below and click when you find what you’re looking for. Stick around and get to know our site more. And if you have any questions, please don’t hesistate to ask in the comments below. Visit this link to find our article sharing family vacation ideas based on where we’ve been and our experiences. Family Movie Night – Read about the movies we’ve reviewed or are excited to see this year. 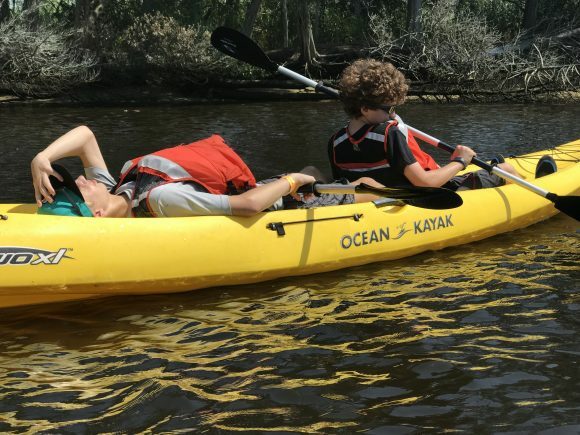 Sometimes moms just need to get out. Coming soon we’ll feature the best spots for mom night outs. To read our latest stories about Sahara Sam’s click here. To find out about Sahara Sam’s Upcoming Events click here. To read our latest stories about Diggerland USA click here. 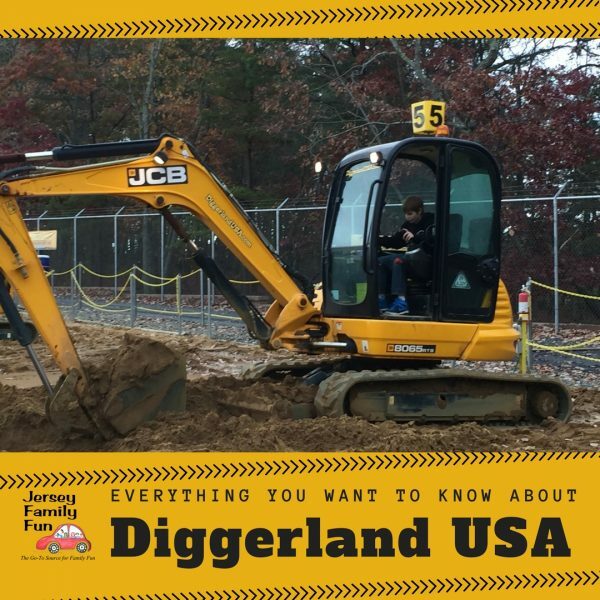 To find out about Diggerland USA’s Upcoming Events click here. To read our latest stories about iPlay America click here. To find out about iPlay America’s Upcoming Events click here. To read our latest stories about the Tuckerton Seaport click here. To find out about the Tuckerton Seaport’s Upcoming Events click here. 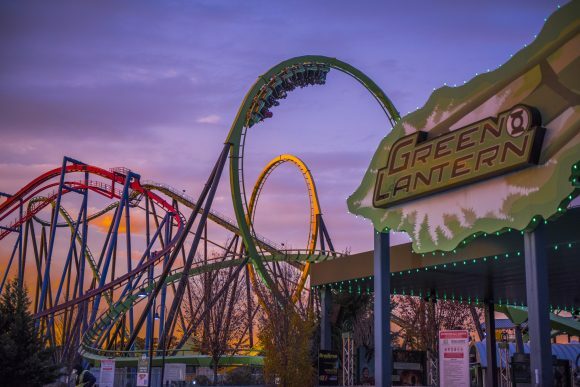 Six Flags Great Adventure – To read our latest stories about planning a day trip to Six Flags Great Adventure click here. Franklin Institute – To read our latest stories about planning a day trip to The Franklin Institute click here. 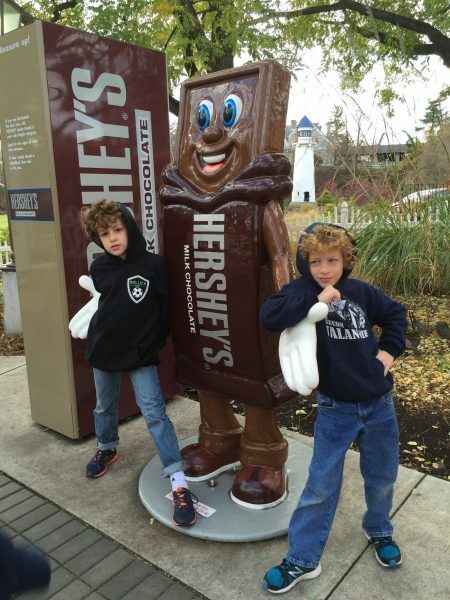 Hersheypark & Hershey PA – To read our latest stories about planning a trip to Hershey Pennsylvania click here. No sweatshirts will be needed on the Auer’s visit to Hersheypark in the summer. 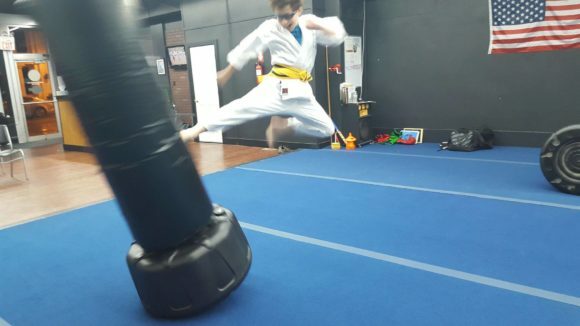 MacKenzie & Yates Martial Arts – To read our latest stories about taking karate classes with MacKenzie & Yates Martial Arts click here. Getting some air with a karate kick. Would you like to be the first to know about new things to do in New Jersey, places to go, or great upcoming events for kids? Subscribe to one or more of our newsletters by clicking over to this page. Like & follow us on Facebook. Be sure to turn on your notifications and visit the page itself. Follow us on Twitter @JerseyFamilyFun. Subscribe to our YouTube channel. Be sure to turn on your notifications. Visit our home page often to see the latest stories we’ve published. Want to help support Jersey Family Fun’s efforts to continue to provide local families with great information, exclusive discounts, and fun giveaways? Recommend your favorite family-friendly businesses advertise with us. Share our site and social media messages with your friends. Volunteer to help at one of our events. Book your next family vacation with Get Away Today. Use this www.getawaytoday.com or call 1-855-GET-AWAY and mention you were referred from Jersey Family Fun. Display our nonadhesive window decal to your car. To get yours send a $1 Paypal.me/Jerseyfamilyfun. In the note, please let us know you are ordering a window decal and include the address we should mail it to. 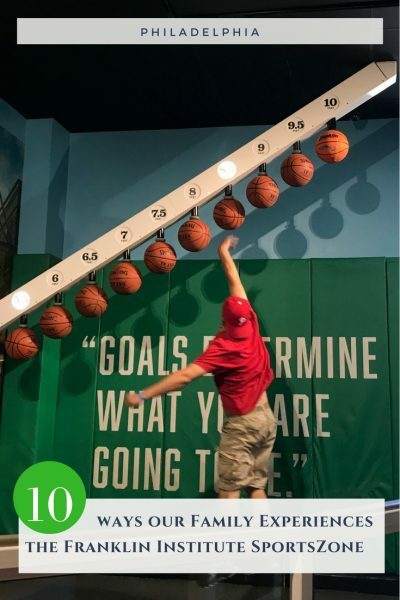 Anytime you visit a place or event you heard about on Jersey Family Fun let them know you heard about them because you learned about them from Jersey Family Fun. Thank you again for checking out our Instagram page and our website. 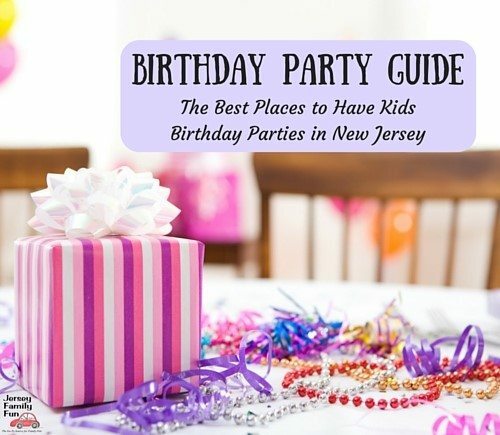 We strive to always bring you the most information on things to do in New Jersey with kids and the best family vacation ideas. If there’s anything you feel we’re missing please comment below. Until then, get out there and have some fun with the kids.